If you are at the point in your career when you need a boost of motivation, drive to continue with the success you’ve had this past year, or maybe you want to go to that next level in a new year in your business. If you’re looking for somebody to help you believe that it’s possible to double your mortgage loan volume; today’s podcast is really for you. 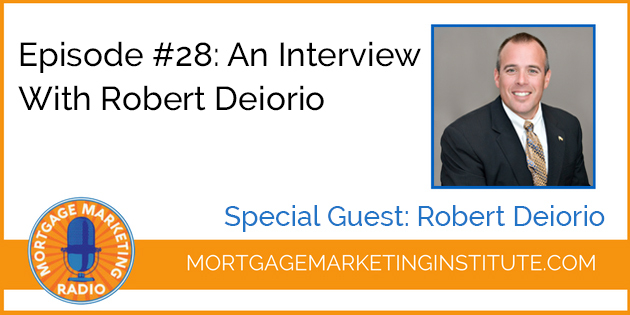 Our special guest for Mortgage Marketing Radio this week is Robert Deiorio (“Bobby D”). American entrepreneur, author and motivational speaker Jim Rohn once said, “If you really want to do something, you’ll find a way. 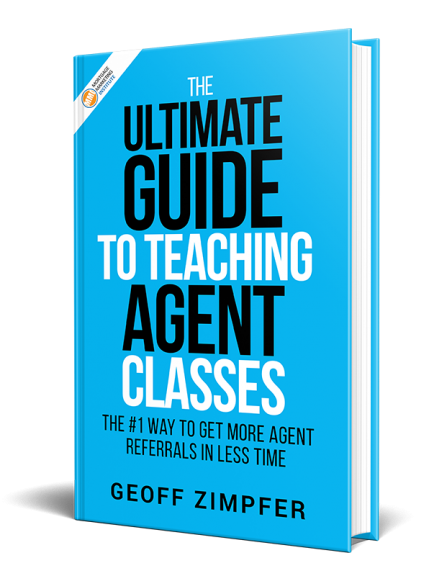 If you don’t, you’ll find an excuse.” For mortgage originator Robert Deiorio, the quote describes perfectly his approach to the business he’s built over the last 18+ years – and the success he’s experienced along the way. 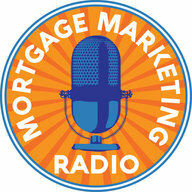 Robert left a 9-5 insurance job for the mortgage industry in 1997. He enjoyed success within the sub-prime arena until the financial and housing market meltdown. In 2008, with no Realtor® contact and no past database, Robert had to start his career over. You’ll hear exactly how he did it on today’s episode.